In the final week of 2016 we bring you various fascinating and unique New Year’s traditions from around the world. Why not try to incorporate some of these traditions in your New Year’s celebrations? In Spain and many Latin American countries, it is customary for each person to eat 12 grapes in a row, in time to the clock as it chimes the last 12 seconds of the year. This is said to bring each grape-eater into a new and happy year. In Germany, there is the tradition of “lead pouring” (“das Bleigießen”). 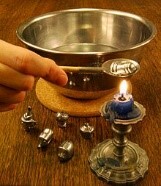 A small amount of lead is melted and then placed in a bowl of cold water. The shape of the lead in the bowl is used to determine what this coming year brings. For example, if the lead forms a ball shape that means that luck is sure to roll your way, and the shape of an anchor can mean that help will be there this year when you need it. In Finland they have a similar tradition, using molten tin instead of molten lead to predict the year ahead. In Puerto Rico, you should spend New Year’s celebrations throwing a bucket of water out of your window in order to drive away the evil spirits. In Turkey, you can guarantee peace and abundance to your home next year by opening your front door and sprinkling salt on your doorstep as the clock brings in the New Year. In Denmark, one custom on New Year’s Eve involved smashing plates and other items of china against your friends’ front doors. 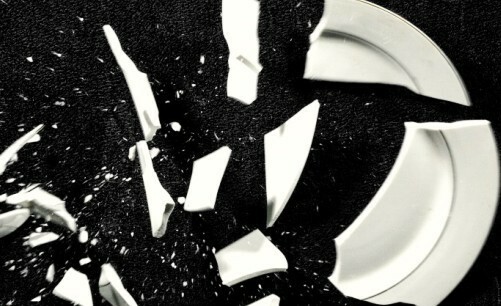 It’s seen as a sign of affection and friendship; the more broken crockery you have to clear up in the morning, the more friends you have! In Colombia, as soon as the clock strikes midnight people race out of their houses and around the block, carrying an empty suitcase. They believe that this ensures a wonderful travel-filled year; the faster you run, the more travel adventures you will have in the coming year. In the Philippines, anything round or circular is considered lucky for New Years! Wearing polka dots and carrying coins, or leaving coins on table tops or in drawers are believed to bring prosperity in the coming year. In Russia, if you are wishing for something to come true in the coming year, write down your wish on a piece of paper, burn it and pour the ashes into a glass of champagne. You need to drink this just before the New Year begins in order for your wish to come true next year! Here at ApLingo we hope you have a wonderful year and wish you many happy returns for the coming year. Did you follow any of these traditions this year, or are planning to next year? Share your story with us using the LinkedIn, Facebook, or Twitter links below!